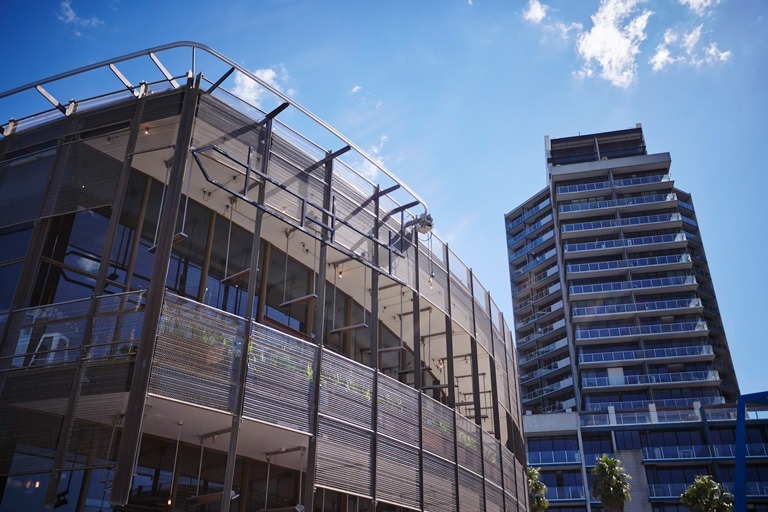 The Arkley, the first building constructed at NewQuay, established the principles of the strong, elegantly robust architectural expression emphasising form and place-making. 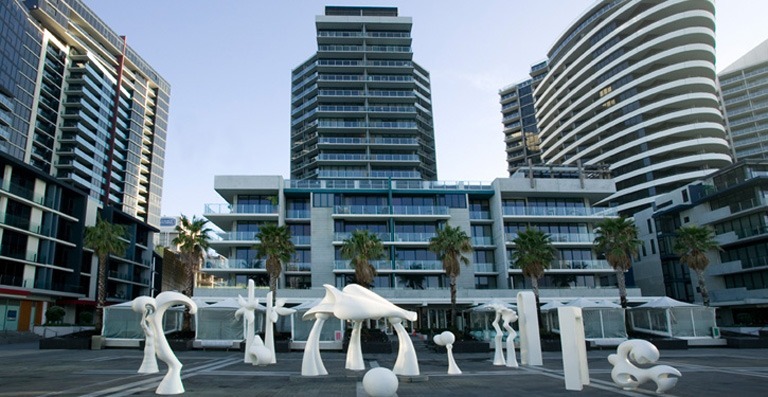 Comprising 176 apartments and approximately 1,900 sqm of retail and restaurant space over 21 levels, this building defines the promenade plaza leading down to the Harbour and sets the canvas for the sculpture ‘Silence’ and the icon restaurants. 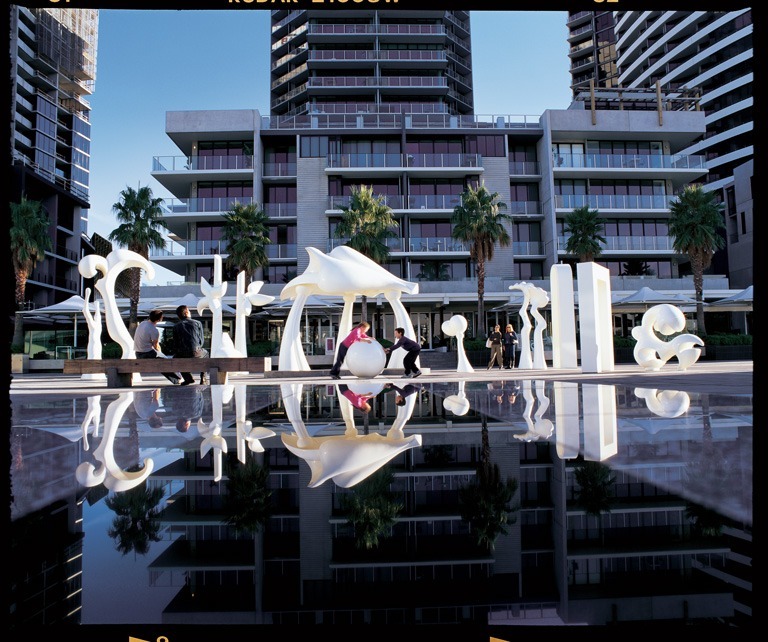 The promenade forms an important and integral part of the public realm of the Docklands precinct, which is a fully accessible public waterfront. 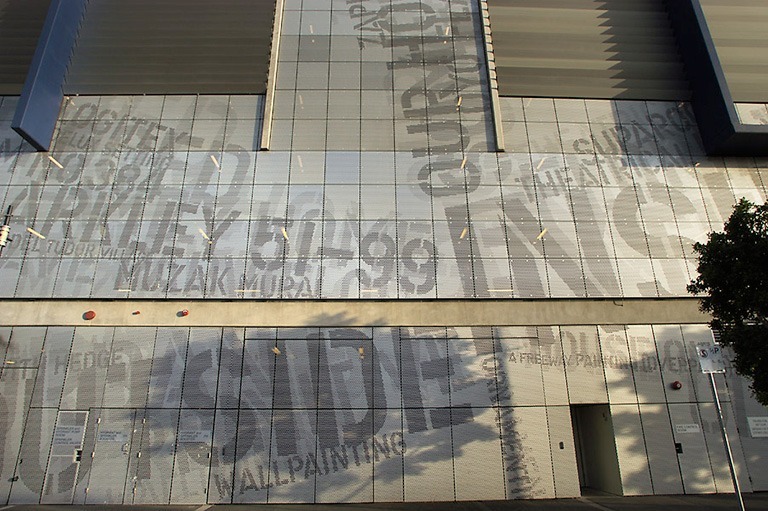 The integrated artwork on the perforated aluminium sheet north façade of The Arkley is ‘Outside Inside Out’ by Matthew McCarthy of Clear Design.